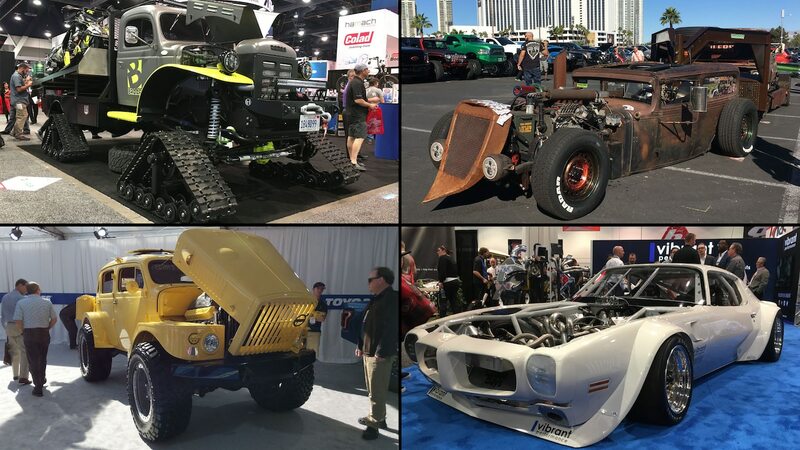 Every year, SEMA leaves us impressed with the wide variety of modified vehicles we see—from trucks to lowriders, sports cars to UTVs, and everything in between. 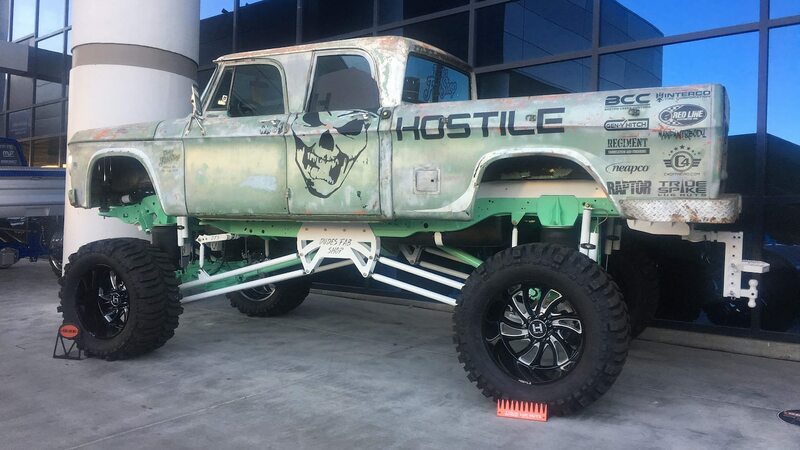 While every builder adds their own personal touch to their SEMA vehicle, some take their builds in unorthodox directions. 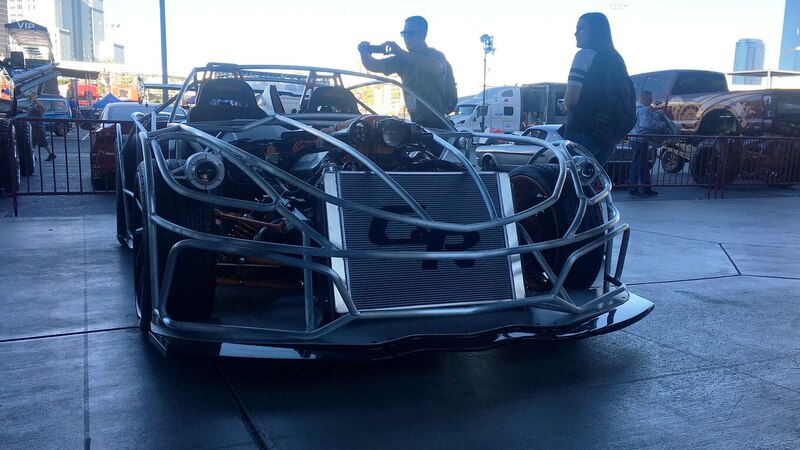 Below are just 13 examples of the wild and wacky vehicles you can only see at SEMA. What started life as a Dodge Ram heavy-duty truck was transformed into something else entirely. Not only has this truck been lifted about 3 feet off the ground, its suspension has been completely retooled. We’re not sure how much of this truck is stock other than the body panels, but it caught the eye of many an attendee. For more on this truck’s transformation, check out its owner’s Instagram account. If you like the combination of golden wheels with a red body, this is your truck. Equipped with Sord Shocks, Bodyguard bumpers, and off-road tires, this F-Series truck is ready for any terrain, even if it never ventures it off-road. The truck to its left probably started life as a Silverado heavy-duty, and besides getting a fancy suspension and bigger wheels, it’s equipped with two LED strips that should keep the road bright at night. 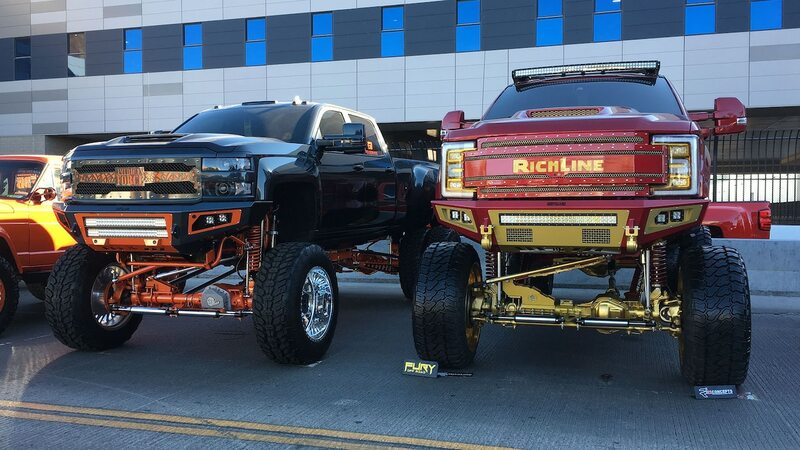 These two lifted trucks aren’t for everyone, but we can appreciate the work that went into building them. If you’ve ever driven a side-by-side, you may have thought the simple yet capable 4×4 vehicle would be perfect in a military application—if only it were just a bit bigger. 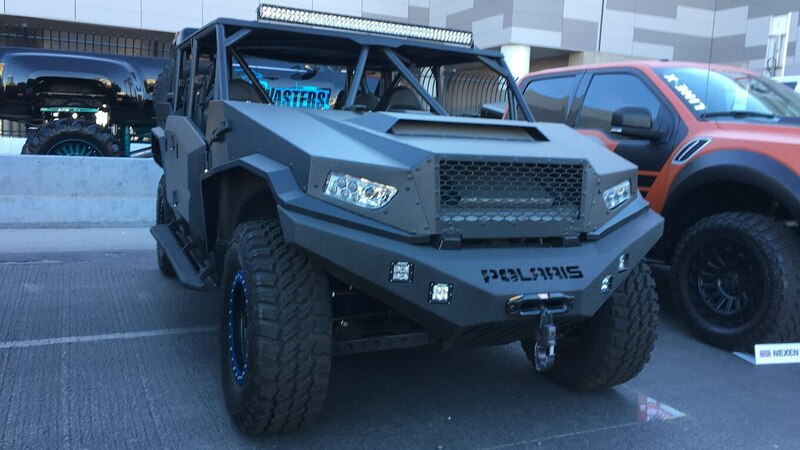 The folks at Polaris had the same thought, which is why they developed the 14.8-foot-long Dagor. 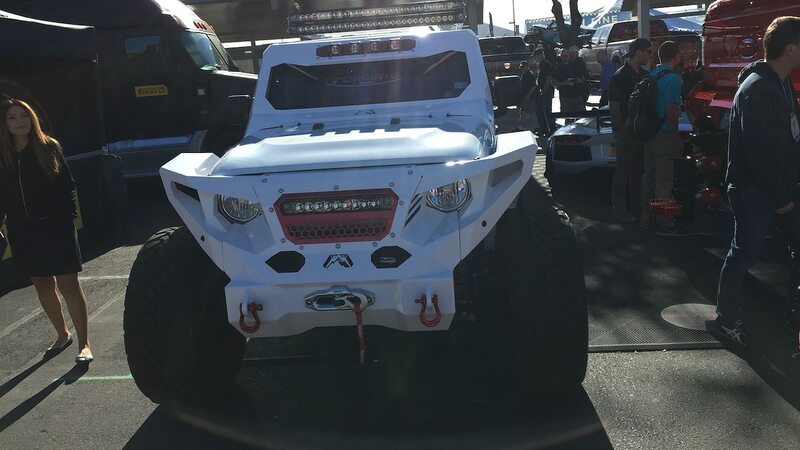 Normally only available to military, this Dagor was customized by spray-on bedliner company Line-X for last year’s SEMA Show. The Dagor may be a common sight on the battlefields of the future, but today it’s pretty wild to see a jumbo-sized side-by-side. 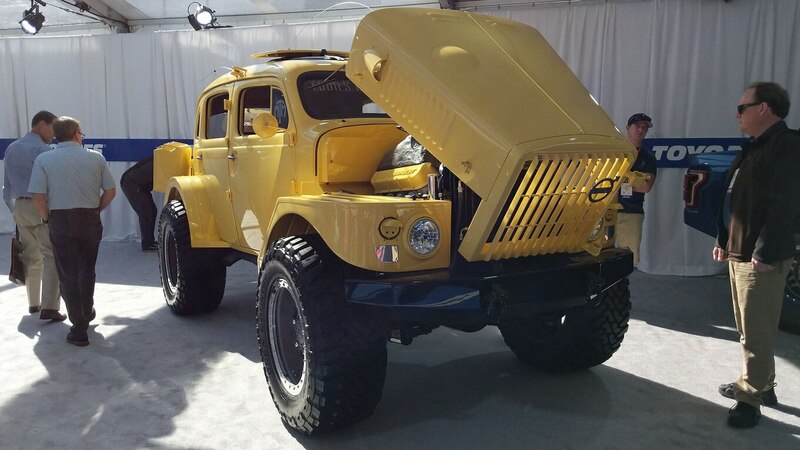 With its similar Transformers­-esque Fab Fours front end, this Jeep reminds us of ARod’s Wrangler made by West Coast Customs. Except this one is slightly less menacing in white with pink accents. Riding on huge wheels, this Wrangler has a Warn winch to get it out of tricky off-road situations. 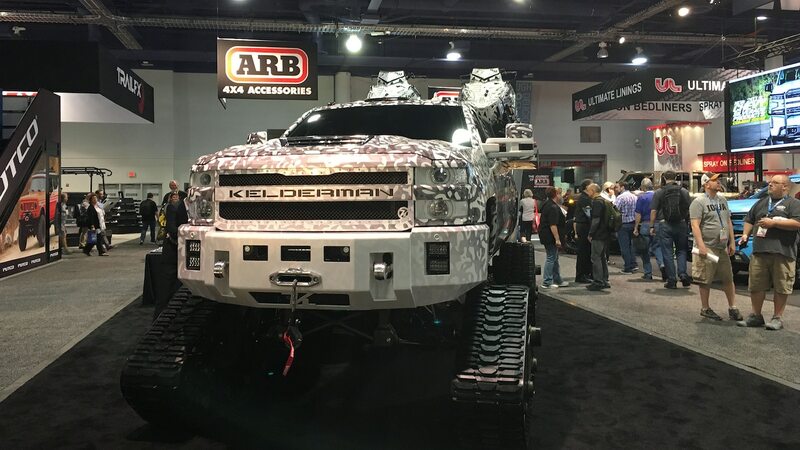 Kelderman is known for manufacturing air suspensions, bumpers, and grilles for heavy-duty trucks, but for this year’s SEMA Show it took things one step further. First of all, the wheels were substituted with Wold Fabrication tracks and the truck has been significantly lifted. 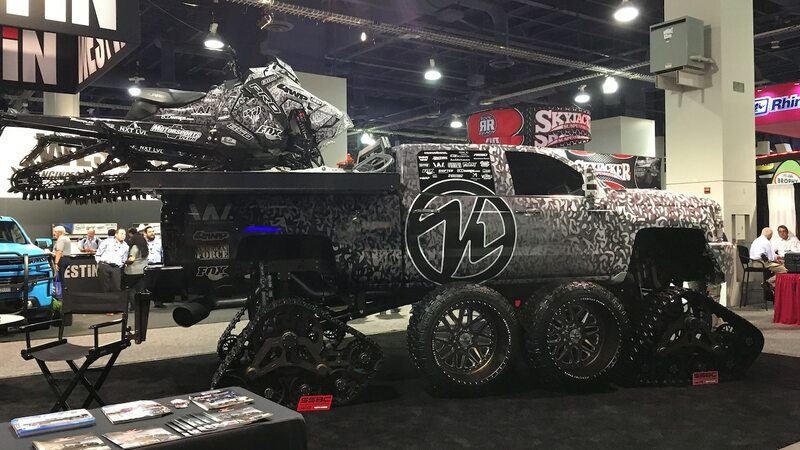 This is probably the ultimate truck for the snow, as it can also carry two snowmobiles on top of its bed. Kelderman had a little competition in the tracked vehicle category this year. 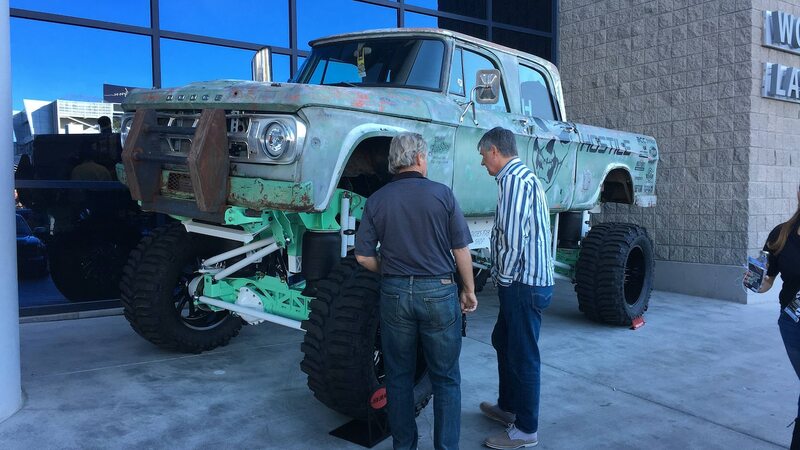 Although BRAAP doesn’t really modify cars or trucks, the company went big for SEMA with this Power Wagon diesel. 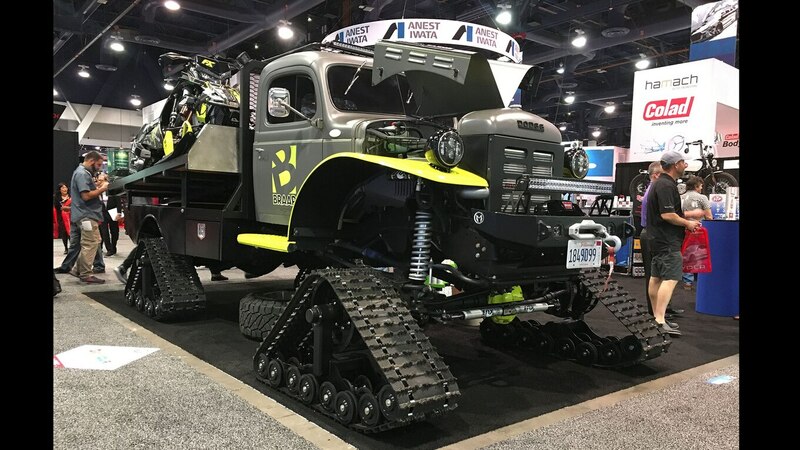 Riding on snow tracks and Fox shocks, this Power Wagon is ready to go anywhere and rescue anyone with its Warn winch at the front. The trail should still be quite visible at night thanks to the two LED strips it has by the radiator grille and on top of the cabin. Though it may look like a vintage Pontiac from afar, this slammed wide-body Firebird is built around a custom tube frame chassis. 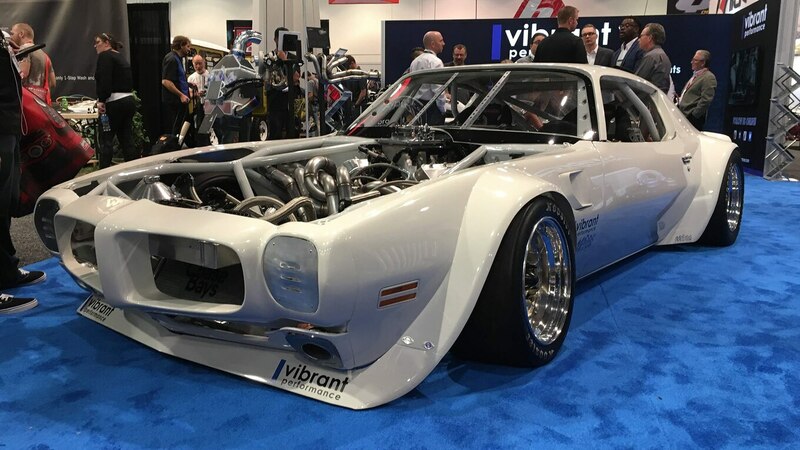 The builder brings together the golden age of the Trans-Am racing series with its current incarnation by remagining one of its most iconic competitors as a modern silhouette racer. We love the mid-front-mounted V-8 with its fancy side-exit headers. If you’re wondering what you’re looking at, you’re not alone. This is a Volvo TP21 “Sugga,” a military version of the 1950s Volvo PV800 series. 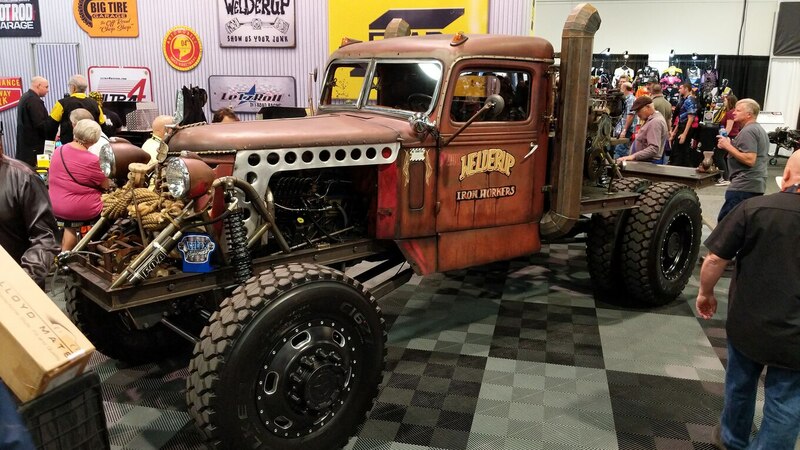 Originally powered by a 90-hp inline-six, this rig has been upgraded with a Chevy big-block V-8 and a beefy set of Toyo Mud/Terrain off-road tires. If you want to stand out on the trails, this is certainly one way to do it. Built by Mike Burroughs of Stanceworks, this Model A pickup truck isn’t your average hot rod project. Powered by a supercharged Coyote V-8, the truck features a racing-inspired pushrod and bell crank rear suspension and rides on centerlock IMSA sports car prototype wheels wrapped in Michelin Motorsport rain slicks. Unexpected? Yes. Incredible? Also yes. 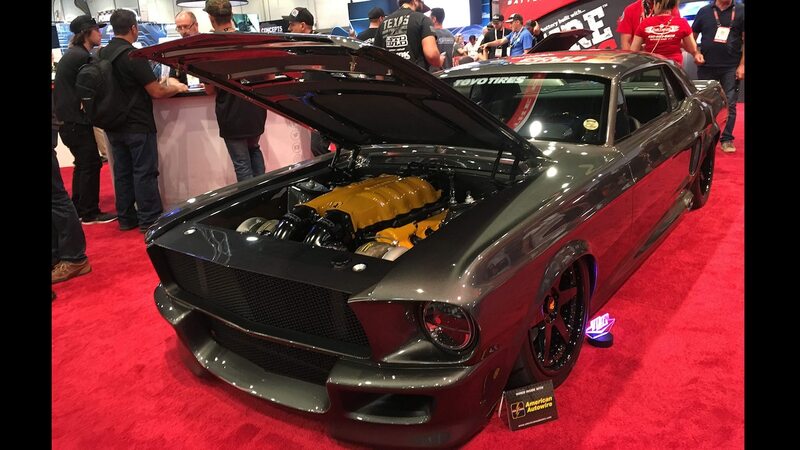 The sky’s the limit when it comes to engine swap choices for a 1968 Ford Mustang, and this builder shot for the moon by choosing a twin-turbocharged Ferrari 4.3-liter V-8 originally sourced from an F430. The setup is said to make around 700 hp, which should be plenty to make this pony gallop like a true prancing horse. If you love vintage tools, then this build from Las Vegas-based garage Welder Up is for you. 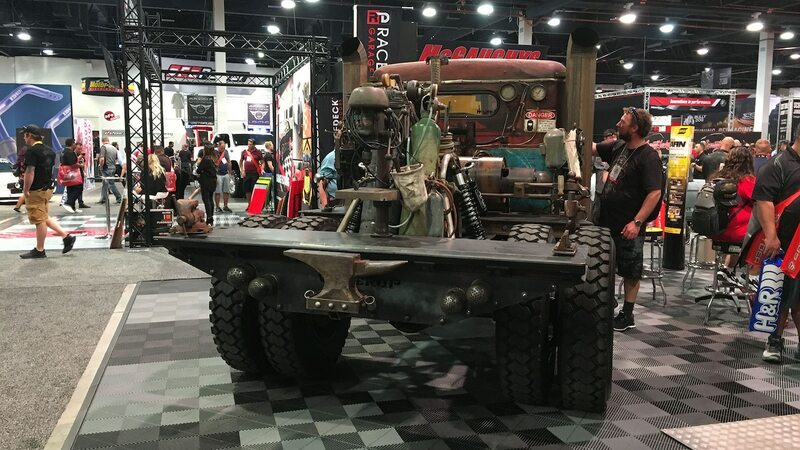 Built as a tribute to the iron workers of yesteryear, this custom truck carries with it an antique drill press, anvil, vice, and even an old generator. 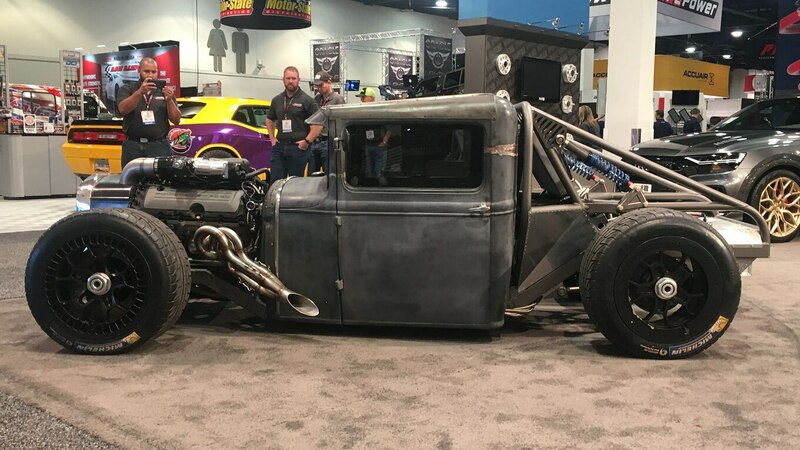 The attention to detail is stunning, and if you want to watch the build from start to finish, you can tune in to “Vegas Rat Rods” on Discovery. 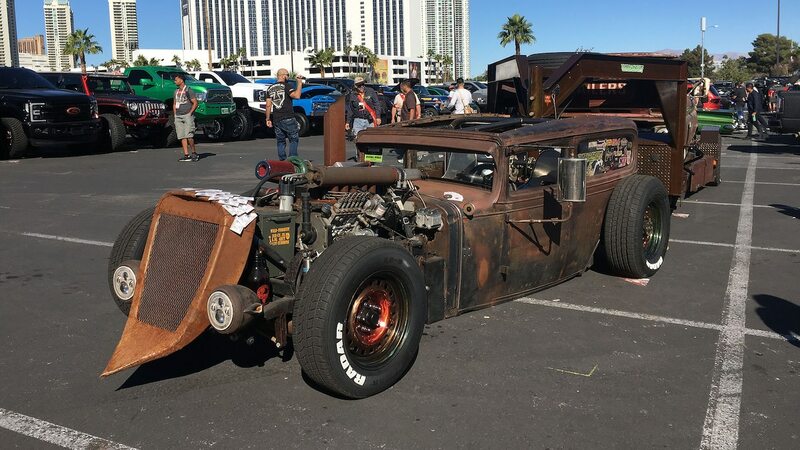 Rat rods have become a common sight at SEMA in recent years. But it’s less common to see one towing a custom pickup truck on a gooseneck trailer. Where would one hook up such a trailer on a vehicle like this, you ask? Why, through the roof, of course. It’s unclear how the 1931 Chevy’s structure has been upgraded to handle such a heavy load, but the engine should at least be up to the task. “Wild Torquey” is powered by a 12-valve Cummins turbodiesel engine.